If you’re studying at Goldsmiths, University of London this year and you’ll be based on campus, Raymont Hall makes a great home for undergraduates and postgraduates alike, located just a 20-minute walk away in Brockley. We operate in partnership with the university to ensure that you feel safe, happy and well catered-for during some of the best years of your life, so you can rest assured that we’re pulling out all of the stops. With quirky cafes, classic pubs and the trendiest bars in close vicinity, we think you’ll love it here. Discover the New En-Suite Rooms at Raymont Hall, 20 minutes from Goldsmiths. 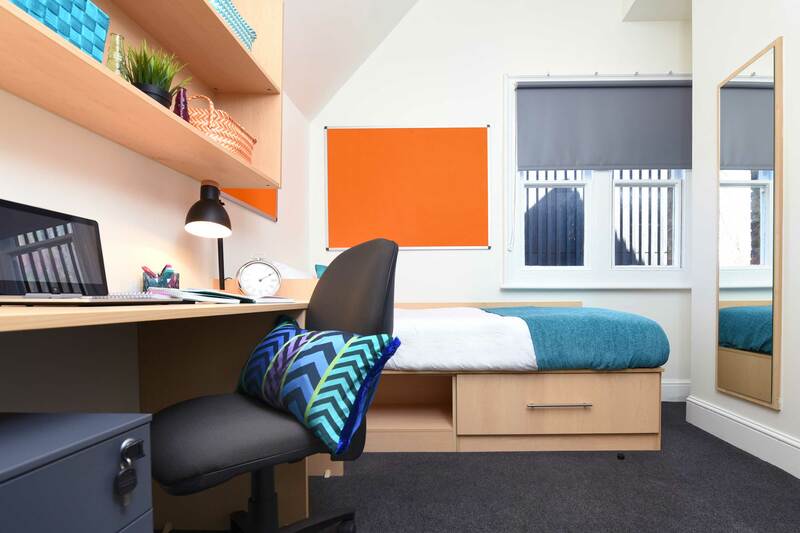 With bills included, Wi-Fi, bed and desk; start your uni journey and book now! Whether you're an undergrad or a postgrad, live uni life the right way in one of our Small En-Suite Rooms; 20 minutes from Goldsmiths. Book yours today! Just 20 minutes' walk from Goldsmiths, you can live the university high life in one of our Standard En-Suite Rooms with bills & Wi-Fi included. Book today! Discover the luxurious Medium En-Suite Rooms available at Raymont Hall, 20 minutes from Goldsmiths. Bills and Wi-Fi included. Book your room today! If you're studying at Goldsmiths why not choose one of our Large En-Suite Rooms at Raymont Hall, with bed, desk, bills and Wi-Fi included. Book today! 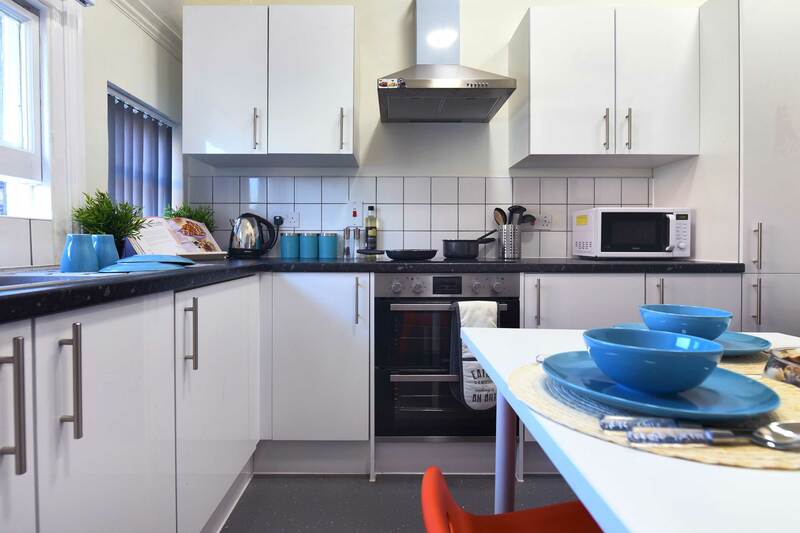 Enjoy the best of student living in our Studio Double Rooms at Raymont Hall - 20 minutes from Goldsmiths with 3/4 bed, Wi-Fi and bills included. Book now! What types of accommodation are available in Raymont Hall? Going to uni is a life-changing experience, but we don’t want too much new responsibility piled on your plate at once. We take care of the electricity, internet and water bills, as well as contents insurance and include it in your weekly payment, so once that leaves your account, you’re set. But that’s not all we do to make your life easier at Raymont Hall. We have on-site facilities to ensure that last-minute laundry is a breeze and we run a parcel service too, so you don’t need to stay in the house if you have a delivery coming. We take your safety very seriously, so we make sure that we either have 24-hour staff or alternative security in place at all times.